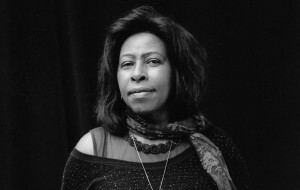 With simple elegance, Scholastique Mukasonga etches a dedication at the beginning of Cockroaches that ensures the subjects of her memoir, the victims of the Rwandan genocide, will not be forgotten. Poetically structured into three verses, Mukasonga alludes to the voices she recollects throughout her narrative through the use of white space separating each verse of the dedication. These gaps, symbolic of the voices silenced in the genocide, are what she strives to eradicate through the act of writing, an act that resists the silence by reclaiming the experiences of those who lost their lives. Resistance does not come easy as Mukasonga struggles with survivor’s guilt throughout the memoir, an emotion she attempts to reconcile by immortalizing the narratives of the twenty-seven loved ones now gone. It is in these actions that she evokes the title of her testimonial work, “cockroach,” referencing the derogatory term used to label Tutsis (“inyenzi”) during the genocide and, perhaps indirectly, suggesting the feature frequently attributed to cockroaches through urban legend that they, much like the subjects of Mukasonga’s book, are immortal. Thus, she reframes the historically insensitive signifier brandished against her and her peers in a poignant act of defiance. The opening scene of Cockroaches is a literal nightmare: Mukasonga, from France, dreams of herself and her classmates fleeing an unnamed, machete-wielding enemy characterized by a menacing hum. Just as this hum follows her to France, it reverberates throughout the memoir amplifying the trauma of her experience. By age three, she claims “the first images of terror were etched into my memory,” as she narrates the massacre of Tutsis on All Saints’ Day, 1959. Exiled to Nyamata, the trauma follows Mukasonga into the classroom where she is one of few Tutsis allowed into the prestigious Lycee Notre Dame de Citeaux high school (reminiscent of the institution in Our Lady of the Nile). Branded “inyenzi” by her Hutu classmates, Mukasonga describes the harrowing experience of shaving her head because her hair marks her so. Forced to excel in the classroom in order to prove her worth to teachers faithful to the regime, she spends her nights locked in the safety of the bathroom with her few fellow Tutsis studying in sacrifice of sleep. These reflections on daily life in the midst of atrocity reflect Mukasonga’s move throughout the text to write in a detached and unemotional tone despite the distressing content. The description of the deaths of her parents, for example, is revealed in a matter-of-fact way: “The ground of Gitagata. He [her father] would spend the rest of his life there. He would be killed there, along with my mother. Nothing remains of all that now. The killers attacked the house until every last trace was wiped away.” This rhetorical decision, far from distancing the reader, instead illustrates the level of desensitization that Mukasonga has undergone as events such as these become all too common. Combined with her habit of revealing the outcomes of characters early in the memoir before describing events in depth much later, she positions the narratives of death as less significant than the description of the actual lives lived and the impact that they had on others. In this way, she further resists the actions of the regime by negating its agency in favor of those assaulted by it, an important move to make in a world in which the killers now openly walk by the graves of their victims on the way to church. The translation of Mukasonga’s experience into English by Jordan Stump brings the narrative to a larger audience perhaps more familiar with her award-winning 2014 novel Our Lady of the Nile (translated by Melanie Mauthier). This work of fiction, originally published in French in 2012, six years after the French publication of Cockroaches, emphasizes the daily life of students in Rwanda in the years prior to the genocide. While the novel examines tensions also evident in the memoir, the brutality and graphic nature of genocide is made more evident in the work of nonfiction. Notably, this English translation of Cockroaches challenges Western discourses concerning the Rwandan genocide that stress the narrative of the West’s failure to intervene as opposed to the narrative experiences of actual Rwandans impacted by the regime. Mukasonga’s intimately personal (yet concurrently collective) account of the build-up to and aftermath of the genocide thus not only reclaims the voices of those lost in 1994, but also resists the voices of those continuing to silence them today. Memory plays a pivotal role not just in this text, but seemingly for Mukasonga herself. “Rare are the survivors who could find their loved ones’ remains and bury them in a grave. And in any case, however others may envy it, that privilege isn’t necessarily helpful for the “grief work” psychologists talk about.” Unable to locate not just the bodies of all of those killed, but also the details concerning their final moments, Mukasonga opts instead for an alternative form of remembrance through the remarkable memorial that is Cockroaches. Alexander Dawson is a PhD candidate in English at the University of Connecticut.